Developed exclusively for Alumni of Colgate University's Colgate Thirteen, CrustNet is devoted to the people, the music, and the tradition. If you're Crust, please register or sign in. If you have questions, comments, news, or just want to chat, please email us. For more information about Crust Net, click here. Can't remember one or both? First Time Visitor? - Register for CrustNet NOW! 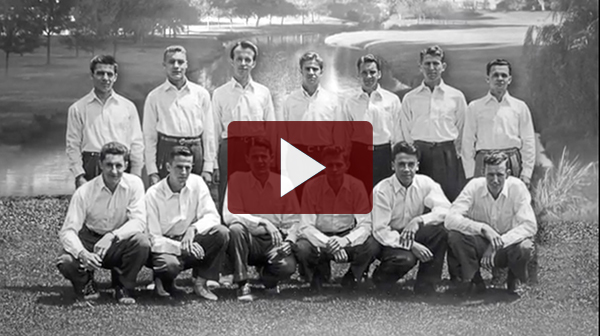 In celebration of our 75th Reunion, Doug Wilson, Colgate 13 Class of 1988, created a documentary that takes us through the full 75-year history of the group. Doug's film captures the spirit of the Thirteen beautifully, pulling together music, videos, photos, and stories from and about the group's history. The film shows that, although it was song that brought us together, the Colgate Thirteen is far more than just a bunch of guys singing.